Since the early 1960’s, Cuba has essentially been off-limits to Americans after an embargo placed by the U.S. government severely limited access to travel to the island nation. Of course, the lure of Cuba has never waned. From mojitos to classic cars to warm beaches and water, the draw of traveling a place steeped in culture — and off-limits to most Americans — has been a constant draw. Now, as easing tensions between the U.S. and Cuba lead to fewer restrictions, many people are taking their chance to finally travel to the island. And with recent granting of permission to several cruise lines to sail from America to Cuba, traveling there is easier than ever. All you have to do is book a cruise porting in Havana, just like you would any other Caribbean trip. While tensions have eased between the U.S. and Cuba, and some travel restrictions have loosened, it is still technically against the rules for Americans to freely visit Cuba. Guests are responsible for setting up these cultural exchanges themselves as well as filling out a certification form and submitting it prior to sailing. This form is a statement certifying that you are participating in a cultural exchange during your trip to to Cuba. It must be kept in your records for five years following the trip. If you’re wondering how you can set up a person-to-person exchange yourself, don’t worry. Your cruise line will offer plenty of excursions that meet the requirements for these exchanges. Just know that you can also set up your own tours outside of those offered by the cruise line. Either way, you aren’t allowed to simply go hang out on the beach all day and meet the requirements for legal travel to Cuba. For countries in the Caribbean, there is no need for a visa (special permission to enter the country) when visiting. You simply enter just like you were getting off the ship in the United States. Cuba, however, requires all visitors to get a visa for entry. It’s easiest to arrange this through your cruise line, but you should know that it costs $75 (and it not normally included in your cruise fare). The visa is good for 30 days, although you will only be using it for one day on your cruise. Of course, needing a visa also means you need a passport. While most cruises from the U.S. don’t require a passport (you need only a birth certificate and a license), you must have one to travel to Cuba. There’s no way around it. Passports also have to be valid for six months after your visit. Keep the extra expense of the visa and getting a passport (if you don’t already have one) in mind when planning your trip. One of the biggest conveniences of visiting Caribbean ports is that all of the ports of call readily accept U.S. dollars. Instead of having to exchange currency in every port that you visit, you can simply spend dollars like you would at home. That’s not the case in Cuba. Keep this in mind and be sure that you carry some cash with you to convert. Odds are that whatever health insurance you have at home is not valid in Cuba. However, the Cuban government requires tourists to have valid insurance when they visit the country. 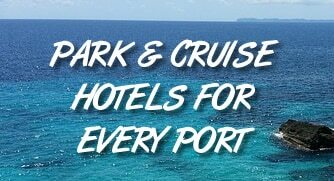 Luckily for cruisers, the cruise lines will lump this mandatory coverage in with your cruise fare. In other words, simply by booking your cruise you have your required coverage, without having to find a policy that meets the Cuban government requirements. Thanks to a recent change in the rules, passengers are allowed to bring back items like rum and Cuban cigars for their own personal consumption. That means up to 100 cigars according to recent news reports. One thing to note, however, is that it is illegal to buy cigars from street vendors when in Cuba. Approved retail stores are the only places where you are allowed to purchase. You will also have to pay any taxes when returning home, as you normally would if purchased anywhere else. Don’t expect to sail aboard the biggest, newest ships. Right now, as service is slowing being rolled out among more cruise lines, there are only a few lines that sail to Cuba, and they typically do so with older, smaller ships. As well, sailing dates are limited at this point. Norwegian, for example, has only five sailings to Cuba in 2017, while Royal Caribbean shows four. But remember, this is the first time that Cuba has been open to cruise travel from the United States. As the industry grows on the island, expect gradually larger ships and more itineraries to include Havana.